I consider myself to be a proud owner of Chevy’s Spark which is a rock solid rugged vehicle made to be used roughly and for high end performance even on the damp, muddy, potholed , uneven roads. Driving is my passion and it’s my biggest hobby to go on long drives driving at high speed and the excitement increases when I reach a traffic free road where I can drive on my full potential. It’s very hard for any vehicle to bear me and I am very surprised to see Spark is handling everything pretty nicely and the biggest advantage of buying a Spark is that its maintenance cost is very less as compared to the cars sharing the same segment. Exteriors look smart especially the front but rear reminds me of the traffic lights which are always ready to restrict me. Tyres are broad and provides good grip over the road. Suspension is a real softy and sometimes I prefer to take a nap inside when I go on long drive especially rear reminds me of my soft bed. Boot space provided is decent enough to accommodate three mid size suitcases. Maintenance cost of Spark is very less and Spares are reasonably priced too. Engine is very powerful and when I drive I feel like a superhero. A/c is very powerful too and I feel chill even in the scorching heat of summers. The characteristic that attracts a passionate driver is the pickup and Spark’s pickup is phenomenal. Overall it’s a best car for people who want a fruitful investment with maximum returns and need more car per car. 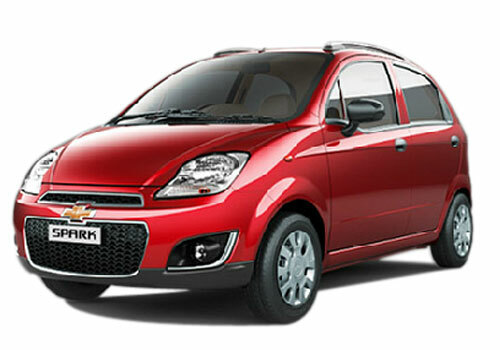 Chevrolet Spark top selling model in India.